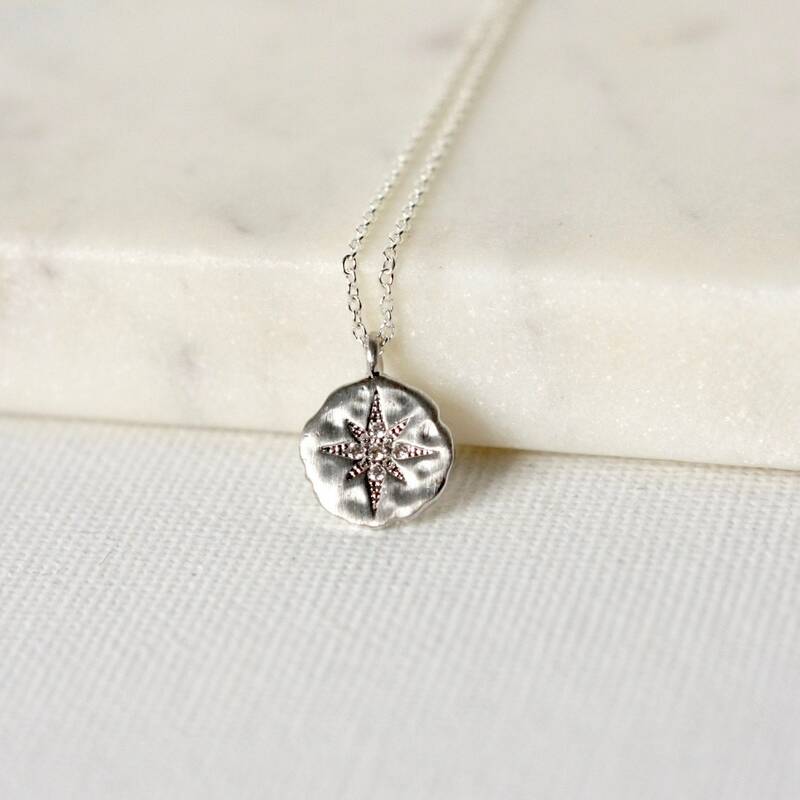 This minimalist celestial necklace features a beautiful North Star charm set with tiny clear cubic zirconia. 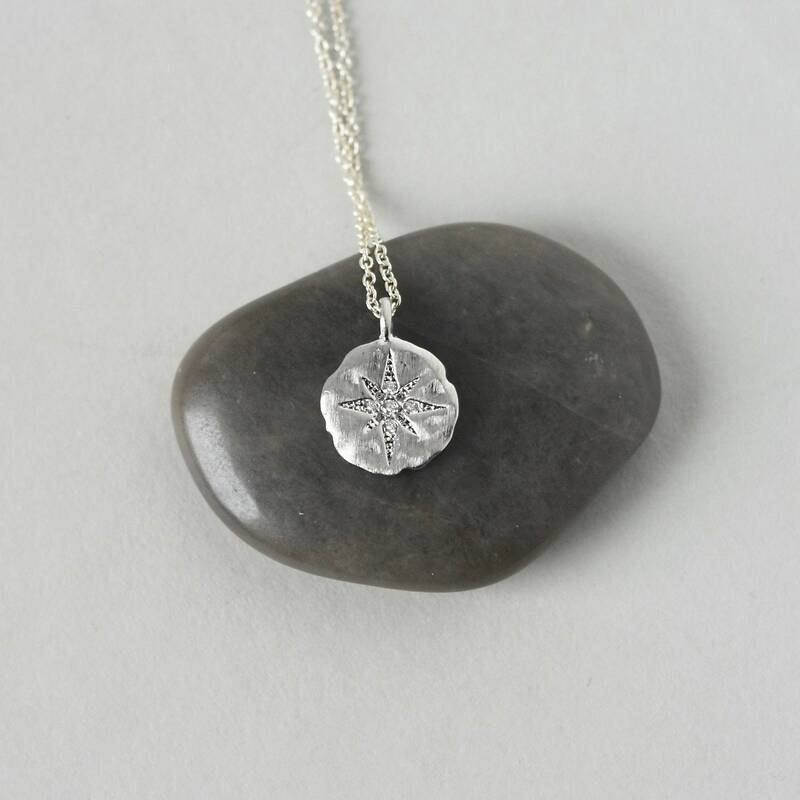 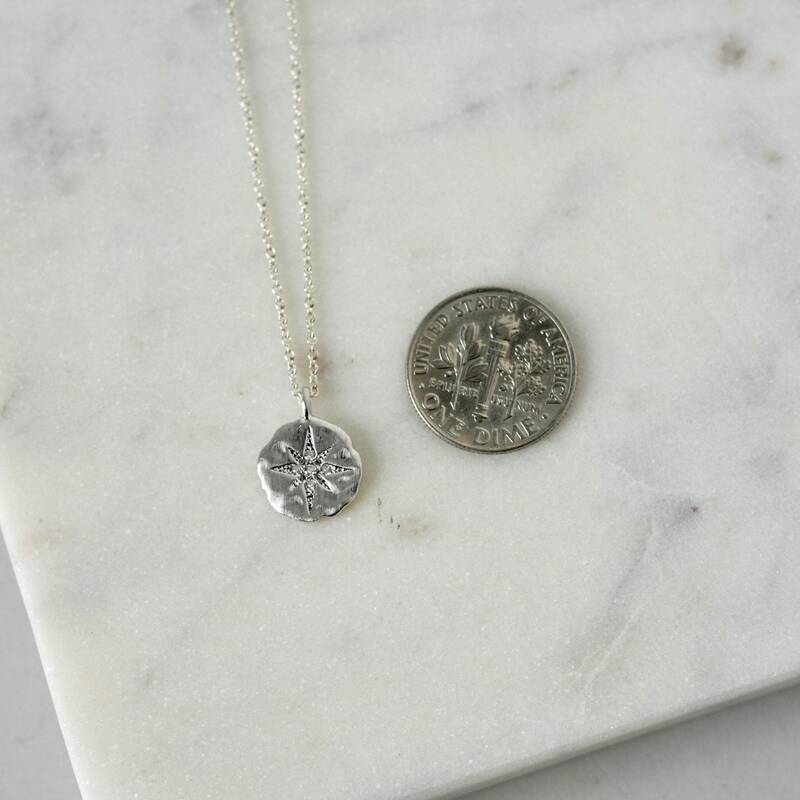 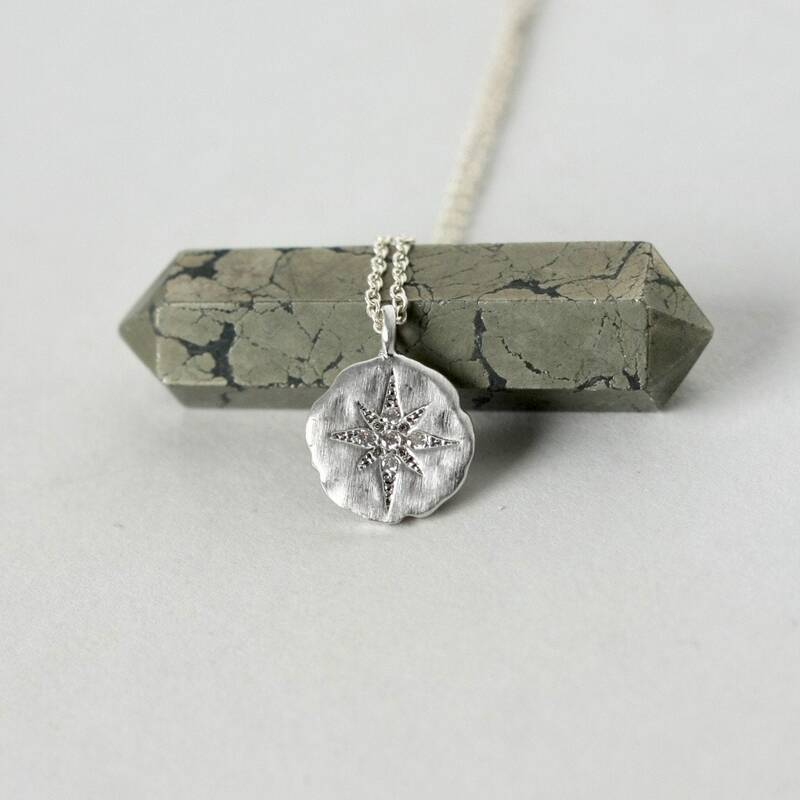 I love the contrast between the sparkly stones and the textured matte sterling silver disc. 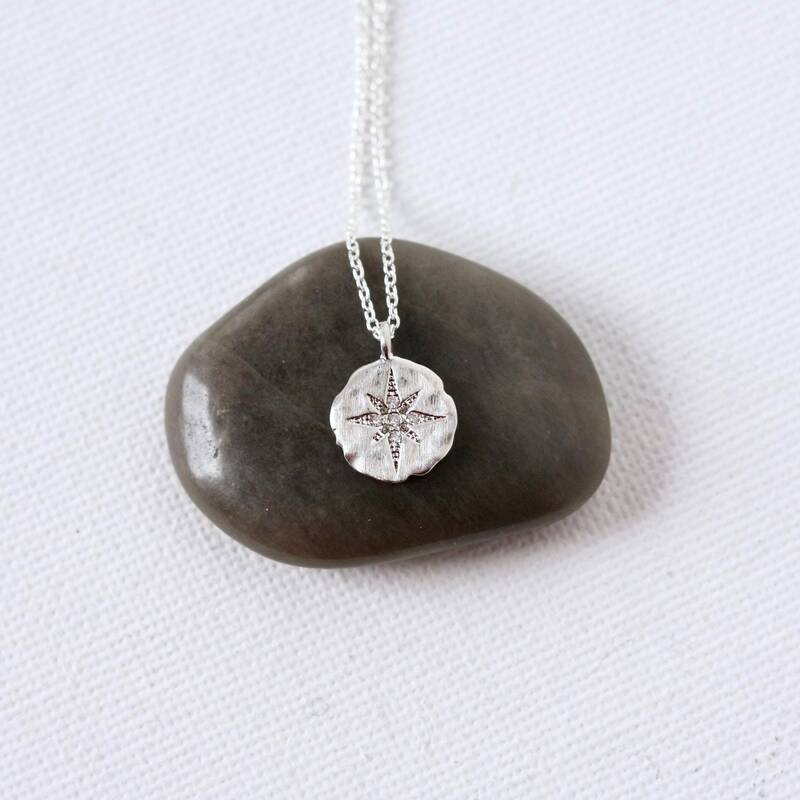 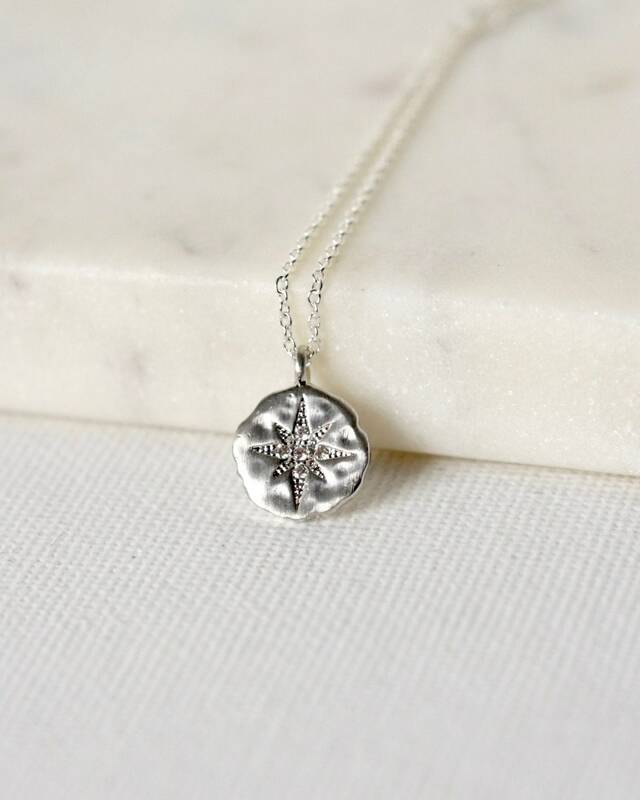 The Polaris charm is about 11mm wide and it hangs from dainty sterling silver cable chain. 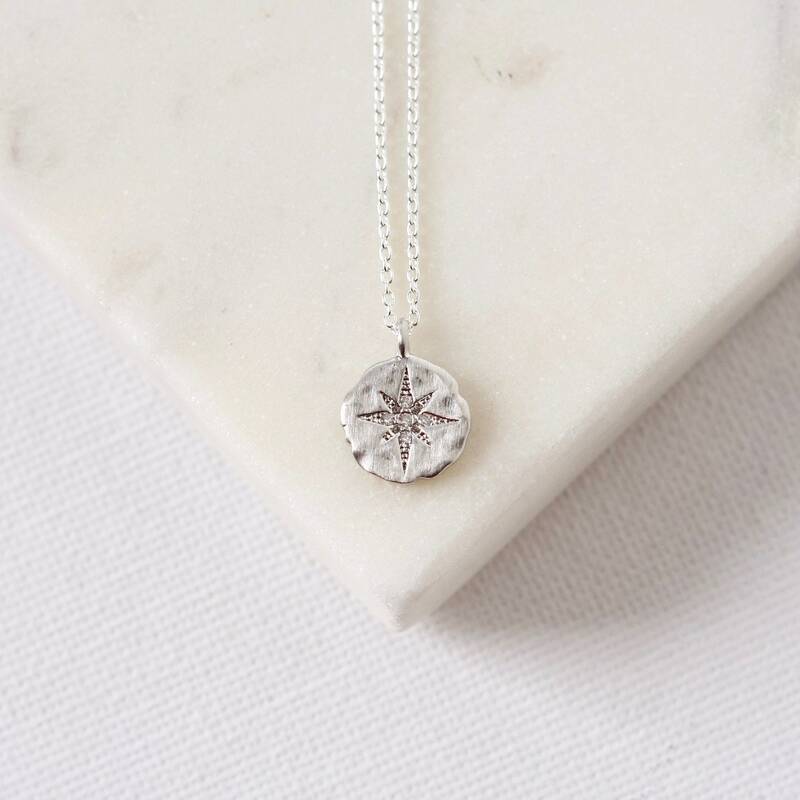 The modern geometric look makes it a perfect everyday accessory and it looks chic alone or layered with others. 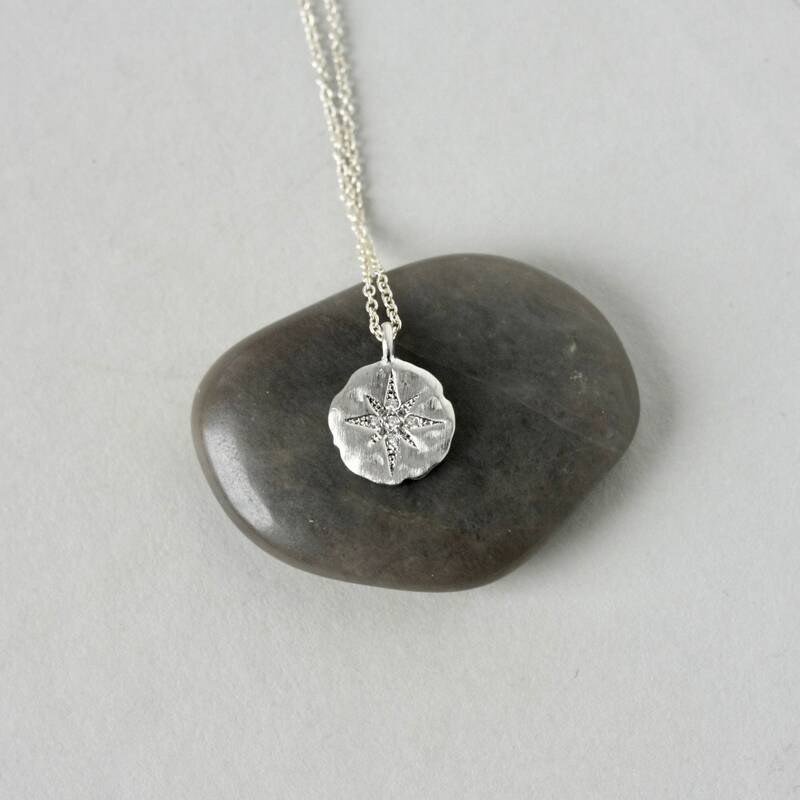 It would also make a wonderful graduation gift or present for someone embarking on a new journey or trip. 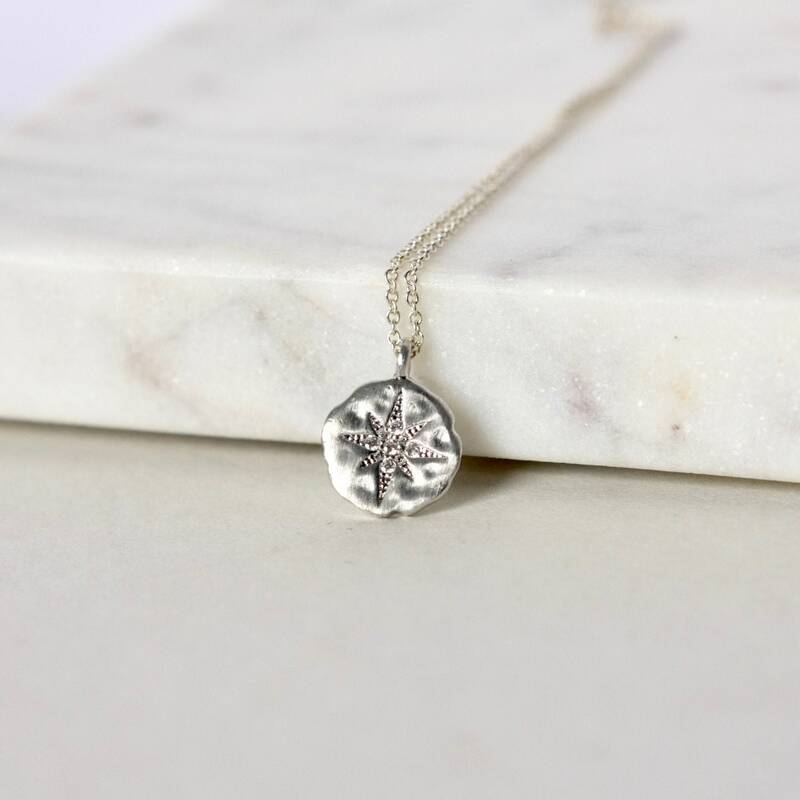 The necklace is fastened with a sterling silver lobster clasp and you can choose a desired length from the drop-down menu above.